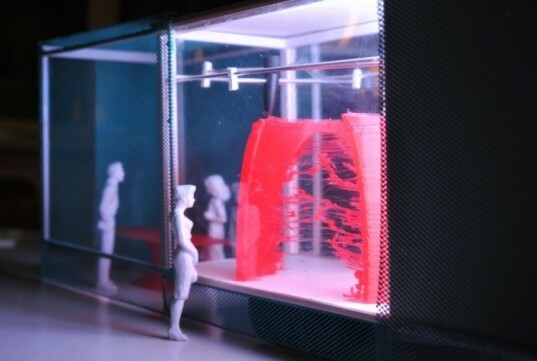 The KamerMaker 3D Printer Can Print Entire Rooms From Bio Plastic! 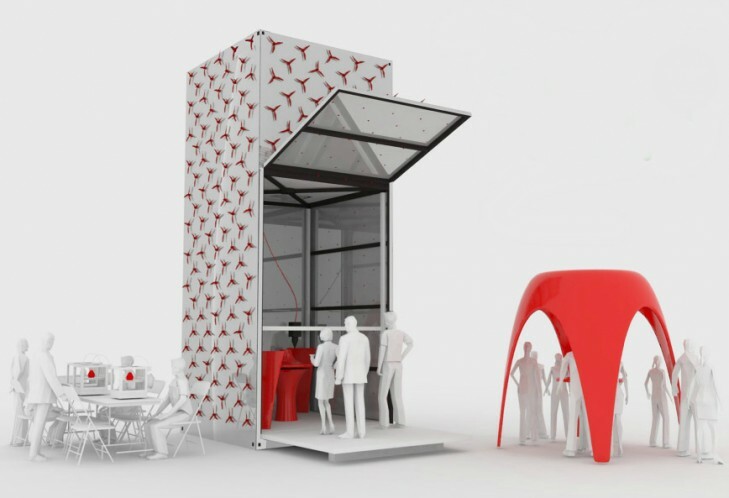 DUS developed the KamerMaker in order to “bring together people from all design disciplines in an open source, on- the-spot design and build pavilion.” They hope that the 3D printer could be used to push the boundaries of 3D print design and building as well as raising awareness about re-use of (biodegradable) plastics. The KamerMaker was developed in collaboration with a team of DUS architects, Ultimaker Ltd, Fablab Protospace, Open Coop, and a number of volunteer enthusiasts. The entire project is also open source, which means that all research data is available online. The KamerMaker project began in March 2012 with the official launch of the website and a one week exhibition and opening event at the Open Coop in Amsterdam. This month, the KamerMaker has been made available to the public 4 days a week, allowing everyone to watch the live testing of the print techniques. The KamerMaker’s first final printed 3D room is expected in the fall of 2012, but next year the 3D printer is expected to travel around the Netherlands providing demonstrations in other cities. Dutch architecture firm DUS has developed The KamerMaker (RoomBuilder) - a 3D printer so large that it can create entire rooms! Dubbed by its creators the "world's first movable pavilion," the KamerMaker features an enlarged ‘Ultimaker’ 3D printing machine that is so big it's actually capable of printing smaller pavilions. In fact, it is capable of printing objects as large as 7.2 feet by 7.2 feet by 11.4 feet. Not only that, but the large-scale 3D printer can produce objects made from corn bio-plastic.